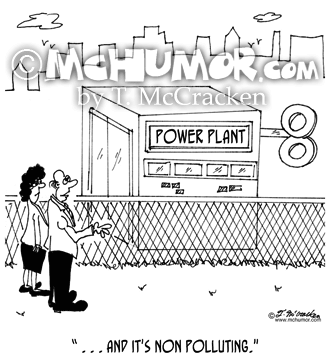 Energy Cartoon 7164: Of a power plant with a large wind-up key behind it an engineer says, " . 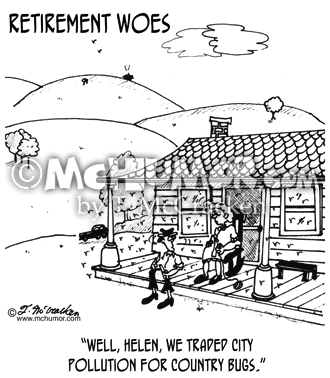 . . and it's non polluting." 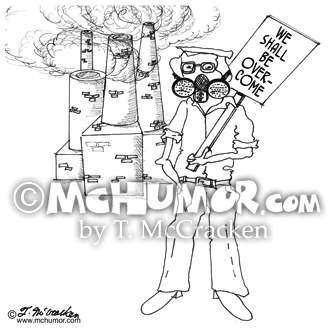 Pollution Cartoon 1256: A man in a gas mask outside a factory belching smog holds a sign, “We shall be overcome." 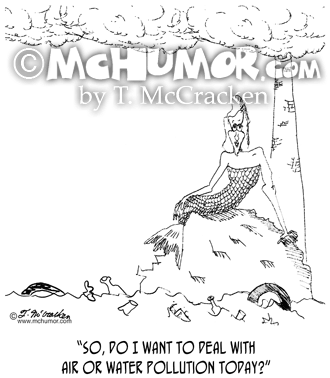 Pollution Cartoon 1127: A mermaid on a rock surrounded by debris filled water that is in front of a smoke stack says, "So, do I want to deal with air or water pollution today?" 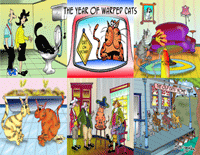 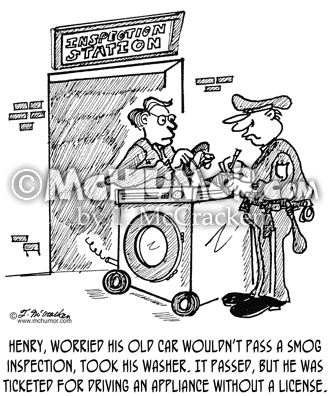 Auto Cartoon 2015: Henry, worried his old car wouldn’t pass a smog inspection, took his washer. It passed, but he was ticketed for driving an appliance without a license.